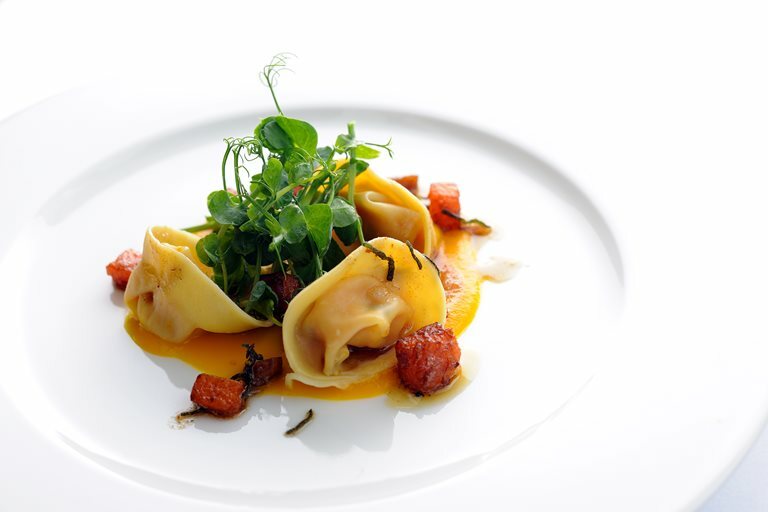 For this sumptuous pumpkin pasta dish from Stephen Crane, pumpkin, sage and chestnuts combine in a rich and buttery autumnal tortellini. This homemade tortellini recipe makes a comforting meal or a welcome starter for friends coming to dinner. To make this recipe vegetarian, omit the Parmesan and opt for a vegetarian substitute, like Old Winchester.